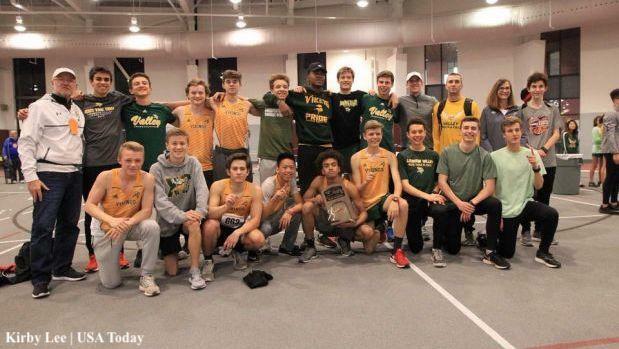 On our final episode of the MileSplit Coaches Corner Podcast for this cross country season, we chatted with the coaches of Loudoun Valley (VA) Marc and Joan Hunter. The Loudoun Valley boys are currently ranked No. 1 in our MileSplit50 team rankings. The Hunters took over the program in 2012, their son Drew's freshman year. Drew would obviously go on to have one of the most historic high school campaigns of all time, winning six state championships in Virginia, as well as the New Balance Nationals Outdoor title in the 2 Mile (2015) and Foot Locker Cross Country title (2016). Drew currently competes professionally for adidas. Since their arrival in Purcellville, the Hunters have elevated Loudoun from relative obscurity to national dominance. Their boys won the Nike Cross Nationals title in 2017 in impressive fashion, breaking the record for lowest point total. They return as the favorites to win again this year and boast the most impressive squad so far this season not only 1-7, but 1-10 as well, with nine boys under 16:00 and a 16:15.9 at No. 10. Led by 14:59 man and University of Washington commit Sam Affolder, the Vikings are already taking names in the postseason and appear on a crash course for repeat titles at VHSL States and NXN. The Hunters were our final guest for cross country, but check back for more content as we head into the indoor and outdoor track seasons. Also, be sure to catch up on all six of the episodes that came before! 42:15 - Explaining "Critical Velocity Reps"